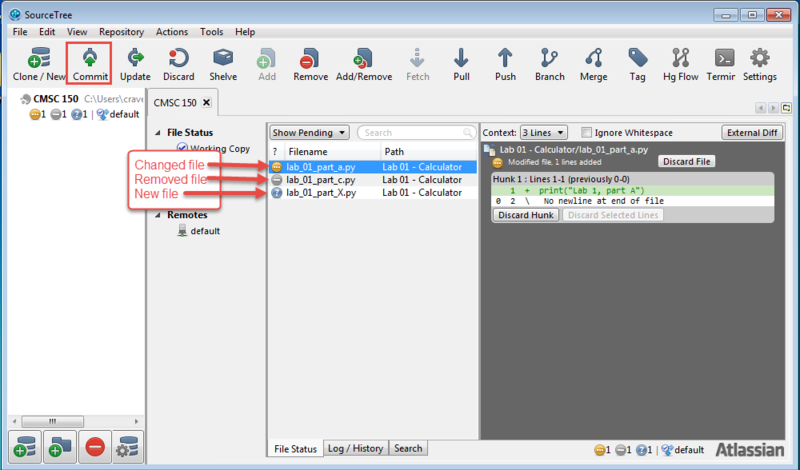 4.1 What is Version Control? No serious development should be done without version control. In fact, version control is so important, many developers would argue that almost no development should be done without version control. Version control saves untold time and headaches. It used to be that version control had enough of a learning curve that some developers refused to use it. Thankfully today's version control tools are so easy to use there's no excuse not to. There are two main types of version control. The original version control systems were “centralized.” Subversion (SVN) is a very popular piece of software that supports this type of version control. 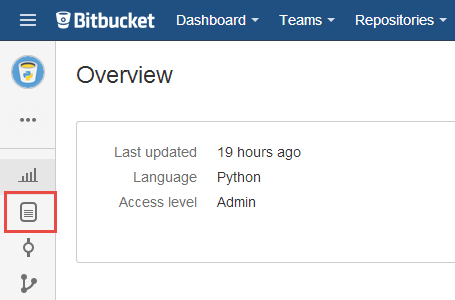 The other type is a “Distributed Version Control Systems” (DVCS). There are two popular versions of DVCS in use today, Git and Mercurial. Either works fine, but for this tutorial we will standardize on Mercurial. Mercurial is sometimes also known as Hg. Get it? Hg is the symbol for Mercury. We programmers are a hilarious bunch. If you are taking this as part of a Simpson College class with Dr. Craven, all the programs you write will be turned into grade using the Mercurial version control system. Even your worksheets will be turned in this way. Just like the web can be browsed with different web browsers, Mercurial code repositories can be browsed with different clients. We'll use a client called SourceTree. You can also follow along with the video tutorial to the right. If cloning from the web worked you should be at the “clone” dialog box. 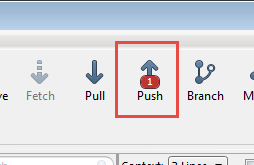 If you are using the copy/paste method then start SourceTree and hit the Clone button. Then set up an empty folder to put your files in. Before it can start, it may ask you to enter your repository user name and password. You can now open up this folder and edit the files like normal. When you have finished making a change, you can commit it to the code repository. Don't worry! The great thing about this type of commitment, is that you can go back on any “commit” that you make. Going back on a commitment is a feature with this software! How cool is that? In the example below, I have changed the first file, deleted the second file, and added a third file. Notice how the icon is different. On the right side you can see exactly what was changed. 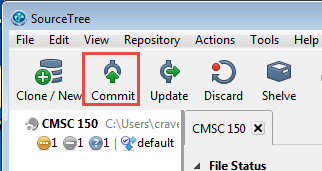 To commit these changes, hit the “commit” button. If you are only using one computer to code, you can stop here and not worry about pulling changes. 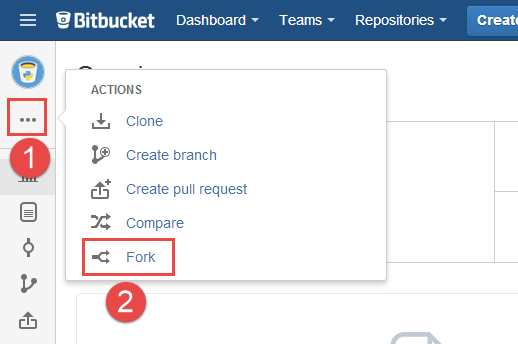 If changes have been done on a different computer, or though the BitBucket website, you need to pull those changes onto your computer. 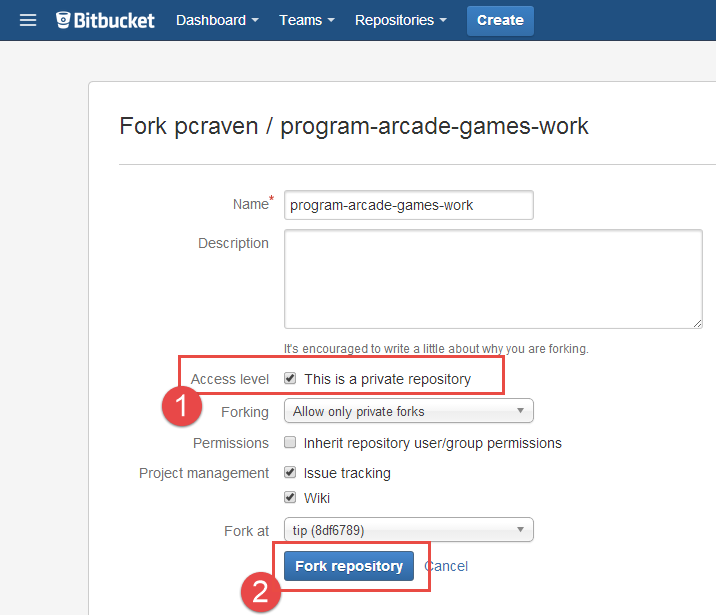 After that you will update to the new code or merge the code in with your own changes. You can't push to the server until you've pulled down any updates first. This prevents you from overwriting someone else's code. After clicking “pull” you will see a summary of all the changes. Just click the “ok” button. 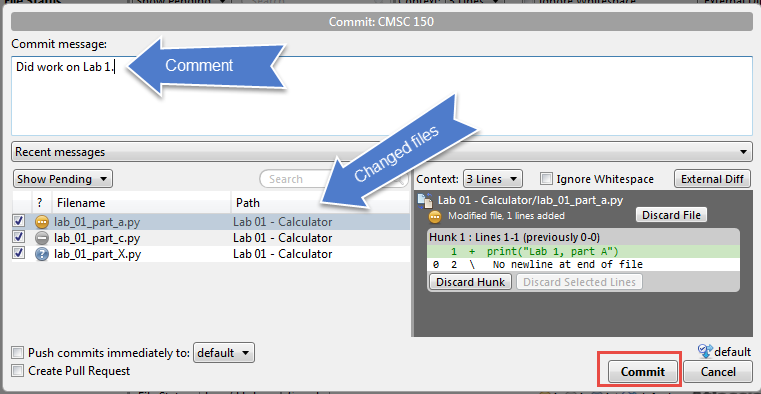 If the same line of code is edited in two different places, SourceTree will step you through manually merging the code. Once version control has been set up, follow the following steps to complete your homework and turn it in. 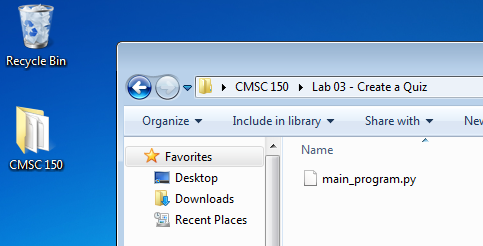 In the program-arcade-games-work directory you cloned from the version control system, find the proper file and directory to complete your lab. 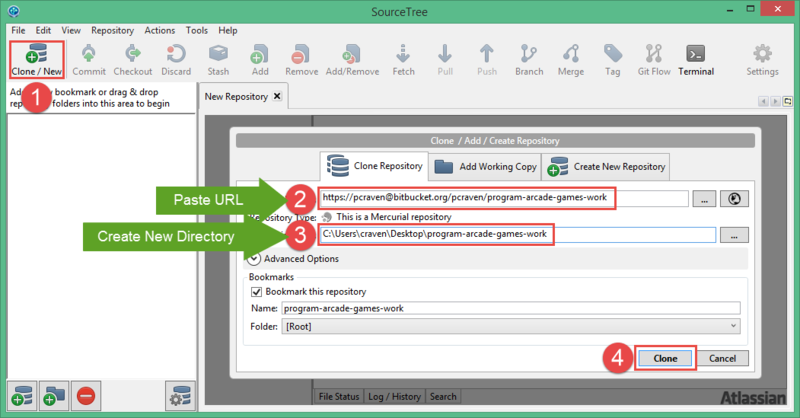 Commit the files using SourceTree. 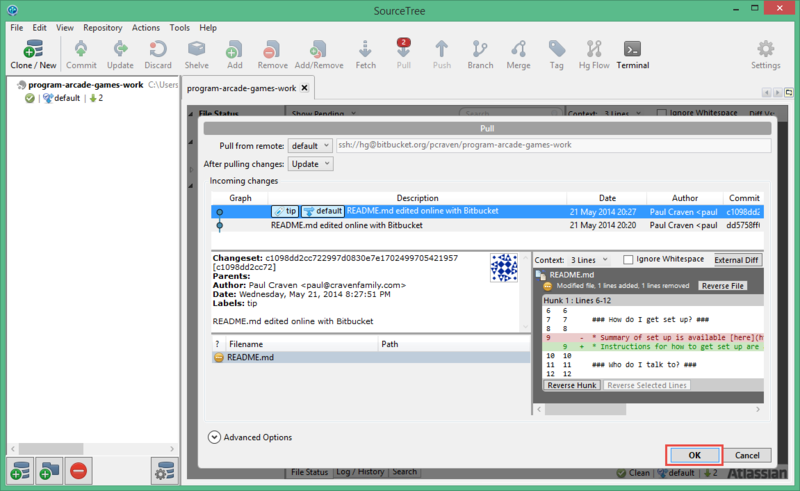 Push the files using SourceTree. Find the file or directory with your homework. Find the homework assignment to turn in. Check back later to review your grade.